There are exercises that make your body strong, and there are exercises that help your brain work better. 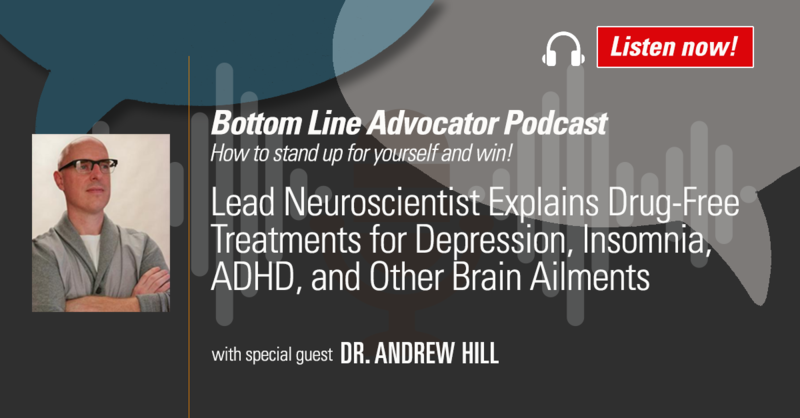 In this episode, Bottom Line President Sarah Hiner is joined by Dr. Andrew Hill, founding director and lead neurotherapist at Peak Brain Institute, to talk about neurofeedback, which he describes as “exercise and therapy for the brain.” Neurofeedback has been proven to help with mood regulation, improved sleep, increased energy, stress relief and even migraines and seizures. No drugs involved. No dangerous side effects. According to Dr. Hill, the power of neurofeedback and how it retrains the brain eliminates the need for medication that theoretically “fixes” the brain. Neurofeedback has helped thousands learn to be in control of their thoughts, moods and overall effectiveness. Listen in to see how it can benefit you. Be sure to check out The Bottom Line Advocator podcast on Apple Podcasts!